Do you have what it takes to become a Samaritan? If you care about other people and would like to make a difference then you probably do. Over 17,000 ordinary men and women already volunteer as Samaritans in the UK and they are always looking for others to join them. Founded by the Rev. Chad Varah in London in 1953 the Samaritans is a UK-wide telephone helpline for anyone who is feeling suicidal or in distress. It does not take any religious or political point of view and is open to anyone to call 24 hours a day, 7 days a week. People can phone anonymously or give their name as they prefer and can phone in the confidence that they will be listened to and not judged. It is now also possible to contact the Samaritans by email and this service is particularly valuable for those who may not be able to use a telephone, for example the deaf or those with a hearing impairment. Anyone over the age of 18 can volunteer, although the Samaritans will want to see some evidence of life experience as that is one of the most valuable assets that someone can bring. You will need to be warm, caring and empathetic and able to get along with people from a wide range of backgrounds. Above all you need to be a good listener. You will also need patience and tact. Callers may phone in considerable distress and be incoherent or repetitive. You will be required to stay with them and offer calmness, sympathy and understanding. You will also need to be able to respect confidentiality. 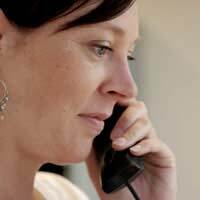 Callers ring on the understanding that they will be anonymous and may tell you things that they have never told even those closest to them. They must feel able to trust you with this information. You will receive a thorough training from the Samaritans before you take your first call. You will learn about listening skills and how to handle difficult calls. You will learn about not giving advice and about staying open-minded and non judgemental. You will also learn about keeping your personal opinions in the background so that you can fully listen to and appreciate the opinions and feelings of your caller. You will also cover areas such as patience. Callers to the Samaritans are often very vulnerable people and need to be treated with great delicacy. Gentle questioning may be appropriate in order to get a caller talking about the problem that is on their mind – this must be done with great caution and tact. Once you are ready to start taking calls you sign up for one or more shifts a week. This is a commitment that you must stick to and Samaritans depends on the reliability of its volunteers. Even though you take calls on your own there will always be an experienced volunteer available to offer you support after or even during difficult calls. Shifts usually last 3 or 4 hours and you may be asked to commit to an overnight shift once a month. If taking calls feels like too big a commitment then there are other ways to help the Samaritans. Volunteer to help out in one of their charity shops, sorting out donations or working on the till. Alternatively you could volunteer your services as a fundraiser and help to raise valuable money for the organisation.